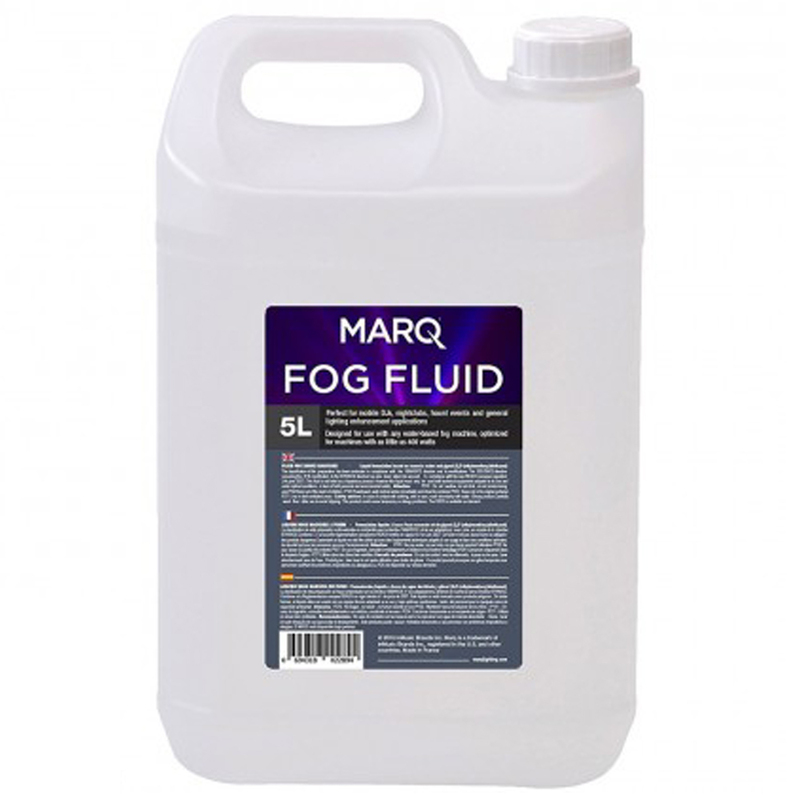 Marq Fog Fluid. 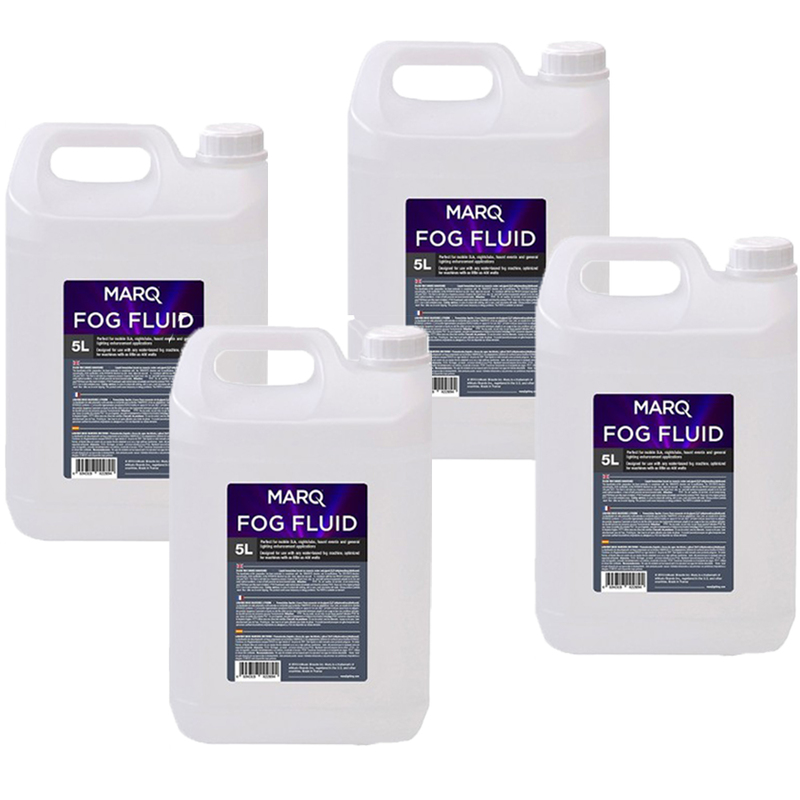 Save money with this bundle pack deal of 4 x 5Ltr bottles. Medium density formulation delivers good hang time and excellent dispersion. Remains clean, dry and odorless. Leaves virtually no residue. Designed for use with any water-based fog machine - Optimized for machines with as little as 400 watts. Perfect for Mobile DJ's, night Clubs, haunt events, and general lighting enhancement applications.